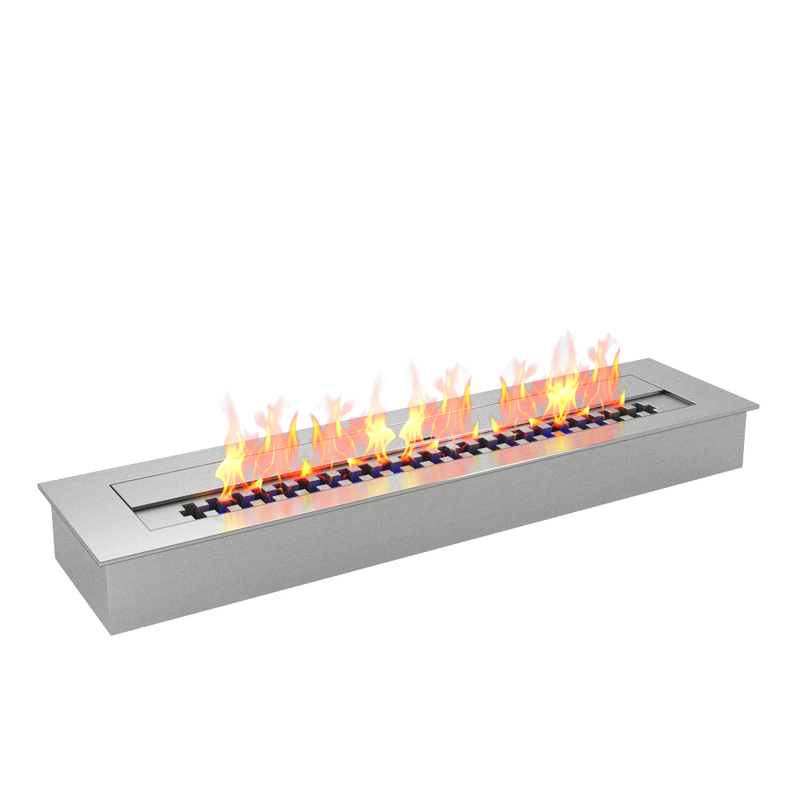 The PRO collection ventless bio ethanol fireplace 24" burner insert offers flexibility of adjusting the flame and is built with industries thickest steel of 3mm. 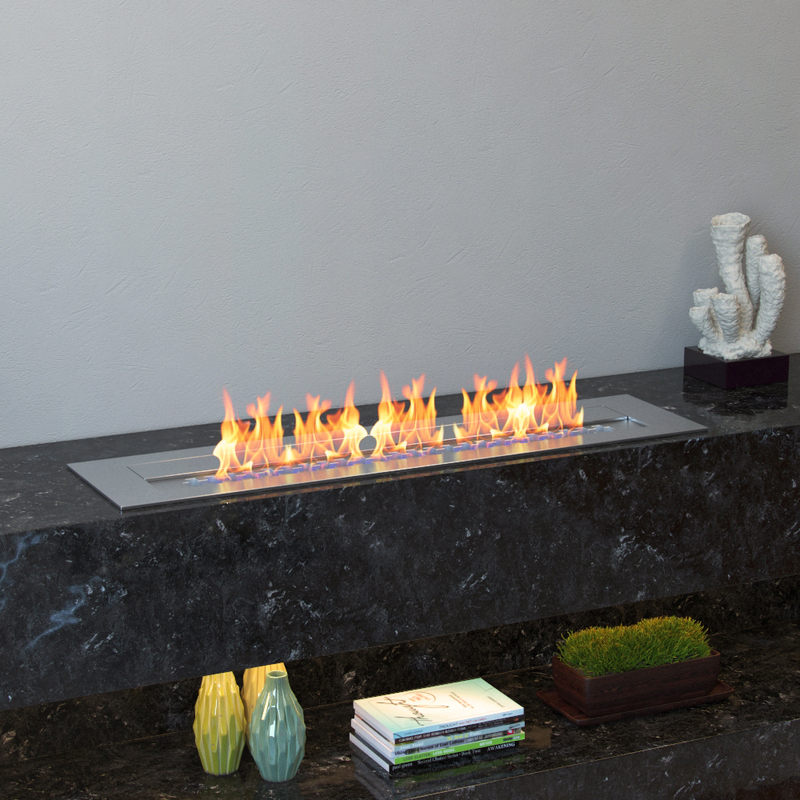 The Regal Flame ethanol burners provide extreme ease of adoption to any environment where a fireplace is desired. 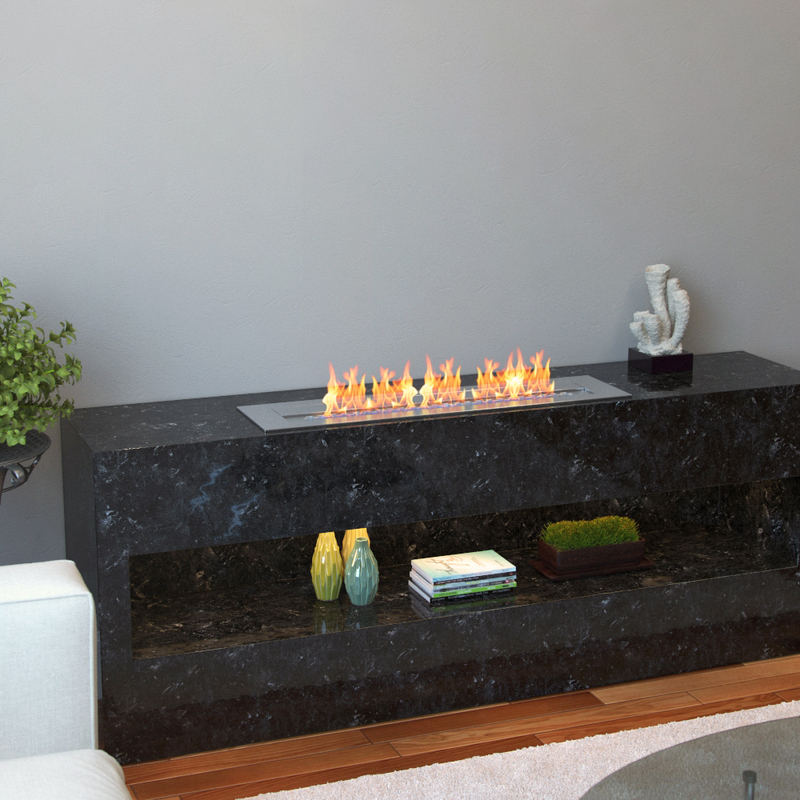 With the ethanol fireplace burner insert, you have no more need to haul wood, run electric or gas lines. 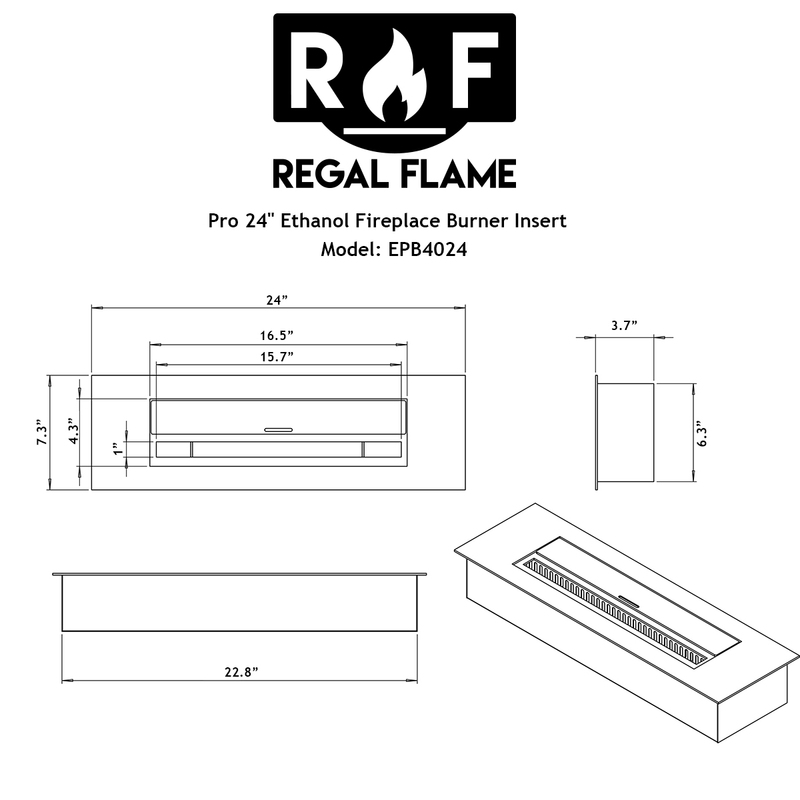 Recommended to be used only with Regal Fuel ethanol fireplace fuel which is smokeless, soot free, and odorless. Just took the wood out of my fireplace and put this in. Works as expected. Flames are a little too blue at times. I'd like more orange, hence 4 stars. But it is certainly less mess than wood. Just as romantic. My neighbors who thought it would be sacrilegious to not burn wood have decided that it looks good also. Love this fireplace insert! we removed our gas logs. This doesn't smell like gas logs. Very happy with this purchase! Everything I hoped for, more than I expected. Nice flame, great heat, it sets the "mood." Works great, doesn't give off as much heat as hoped. The build quality of this piece is top notch. 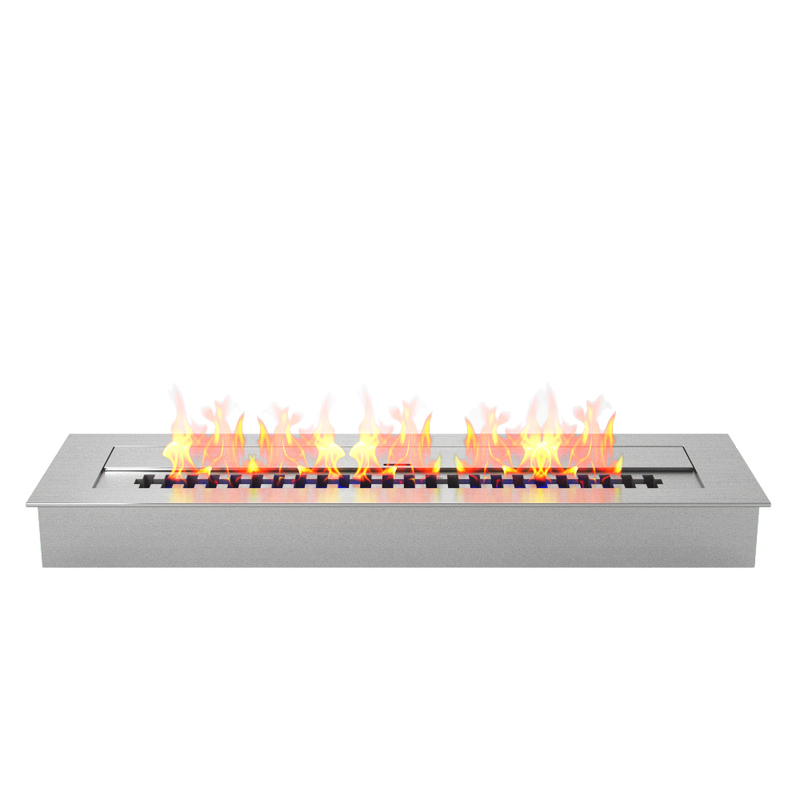 I'm happy with the heat/flame output, and the fuel capacity is great compared to other table top units. I am building a table top enclosure for this insert, made from stone.